Sebastien Ogier increased his Rally Mexico lead further on Saturday afternoon, while second-placed Elfyn Evans came under intense pressure from a charging Ott Tanak. 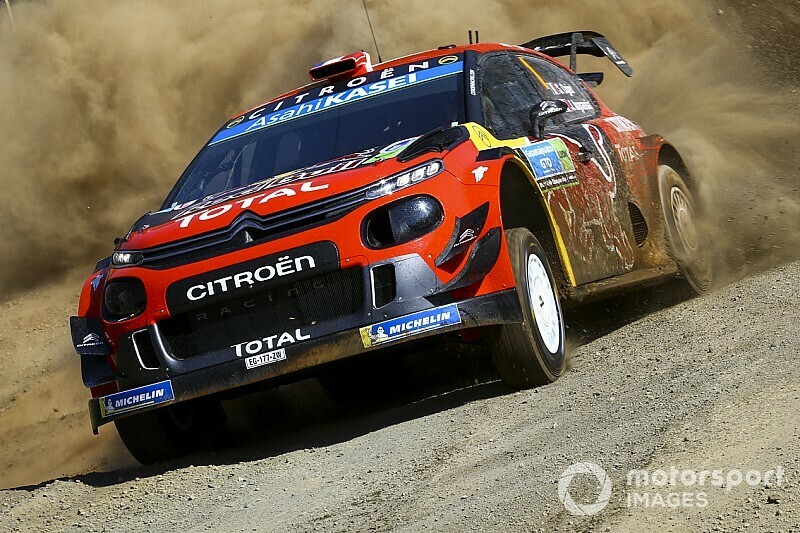 Citroen’s sole remaining driver Ogier pulled further ahead of M-Sport’s Evans, pushing his lead gap further to 27s. A drama-filled morning for Ogier included a puncture and a notional time being awarded for his first run through Guanajuatito, and trouble struck once more, this time on the Leon Autodrome stage. Caught out by surface water which had not been present on Friday, Ogier overshot a chicane and hit a hay bale side-on, stalling his C3 WRC and dropping six seconds. Behind him, championship leader Tanak was on a charge, winning two of the three full-length gravel stages on the afternoon loop and quickly cutting into Evans’ advantage in second place. Tanak gained 19.6s over Evans across Saturday’s last five stages, closing to within 2.2s of second and half a minute of rally leader Ogier by day’s end, thanks in part to Ogier’s small mistake on the Leon Autodrome superspecial. Behind third-placed Tanak, Thierry Neuville had a straightforward run to maintain his fourth position, ending the day 46.5s behind his title rival and as the best-placed Hyundai driver. Fifth-placed Kris Meeke had briefly led on Saturday morning before a puncture and suspension damage set him back. But more problems struck in the afternoon, overshooting a chicane on the Leon Autodrome superspecial and going nose-first into a tyre barrier. 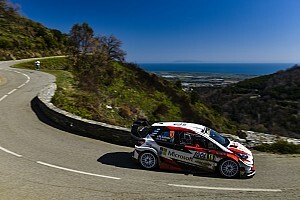 Thereafter his Yaris struggled with a gearbox issue, with Meeke stuck in second gear for the Leon city sprint and losing over a minute across the final two superspecials. He went on to apologise for suggestions earlier in the day that Citroen had pushed for a red flag to protect Ogier’s lead after a puncture for the Frenchman. WRC2 leader Benito Guerra remains sixth overall and now has a comfortable lead over runner Marco Bulacia Wilkinson in seventh, the latter picking up a front right puncture on Guanajuatito. Rally2 returnees Jari-Matti Latvala, Dani Sordo and Andreas Mikkelsen all picked their way past several WRC2 midfielders and local entrants, finishing the day eighth, 10th and 11th respectively. 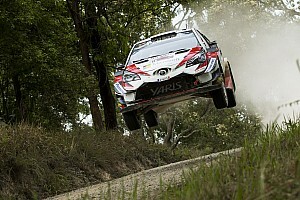 Toyota’s lowest-placed driver Latvala moved into striking distance of seventh-placed Bulacia Wilkinson, with Latvala only 52.8s in arrears with three stages remaining on Sunday. Latvala lost 10s before the pair of Leon Autodrome superspecials, however, checking in a minute late after a set-up change to his Yaris went wrong and picking up a time penalty. Separating Latvala and Hyundai’s pair of Rally2 returnees, seven-time NACAM Rally champion Ricardo Trivino holds ninth by only 0.1s from Sordo behind. However, he has a much more comfortable advantage over Mikkelsen of over 14 minutes. 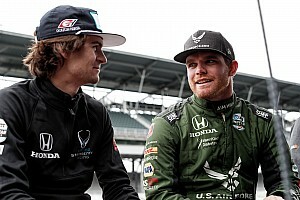 Mikkelsen suffered an unusual drama on the afternoon pass of Guanajuatito, when he was forced to stop for over a minute. Co-driver Andreas Jaeger had to climb out of their Hyundai i20 to open a shut gate which was blocking the stage. 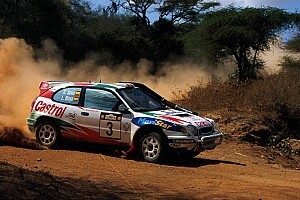 He was later given a notional time only 0.4s slower than teammate Sordo’s time on the same test by the rally organisers.